Our Club was established in Tampa Florida about 20 years ago by a diehard group of Hallmark collectors whose vision was to enjoy and share the spirit of Christmas with others who were as passionate about collecting as they were. Over the years, the club has attracted members from all over the Tampa Bay area, to include a few wintering "snowbirds" in our ever growing collecting club . Club meetings are held on the second Tuesday of each month, January through November at a local restaurant. We meet to socialize, share the latest collecting news and strategize our continuing efforts for our local charities. Our club members have donated food and clothing to the homeless, as well as female veterans and their children who were facing a difficult time. We have made Easter Baskets for nursing homes and provided dinner and entertainment for Hope Lodge, a facility which provides rooms for patients and their families while undergoing treatment at Moffitt Cancer Center. For fun, we made a video of members singing an original song for one of the Hallmark conventions in Kansas City and created a created a skit for a regional event. Some of us may not have much talent but we are gung-ho and enthusiastic! ​Join Us! See What You Been Missing! 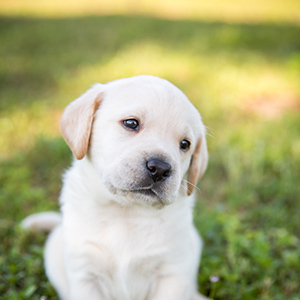 Southeastern Guide Dogs: A non profit organization dedicated solely to the task of helping blind men and women achieve independence through the means of a guide dog. ​The organization ​was founded in 1982, they employ the latest in canine development and behavior research to create and nuture partnerships between visually impaired individuals and extraordinary guide dogs. 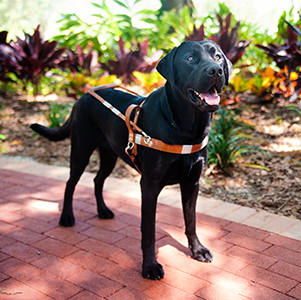 They serve more than 400 graduates across the United States and continue to place more than 100 dogs each year into careers benefiting people with visual impairments and veterans. ​They provide all of their services free of charge and recieve no government funding.